This weekend I am meeting up with some of my BESTEST friends (namely Heather and Julie) in St. Louis for Jordan and Jennie's wedding!!! I am so excited for every minute of the weekend! 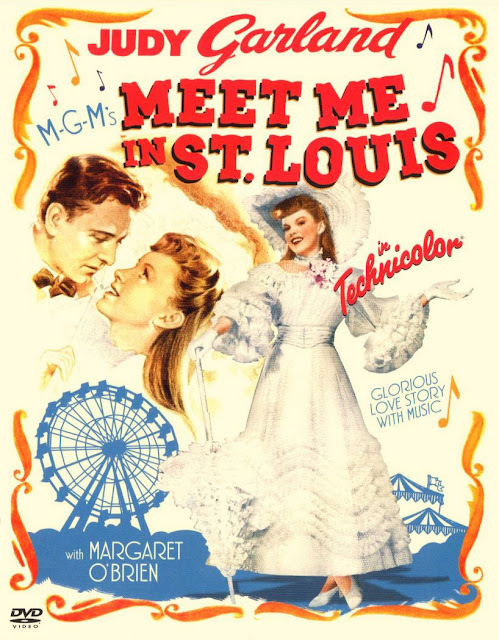 In honor of meeting up in St. Louis, Julie and I are watching the oh-so-appropriately titled movie "Meet me in St. Louis!" 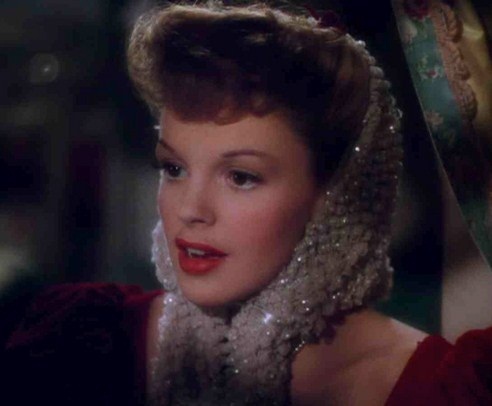 Alissa and I used to watch it all the time as kids and what I remember most vividly is the dramatic "haze" that they put around Judy Garland for romantic effect. 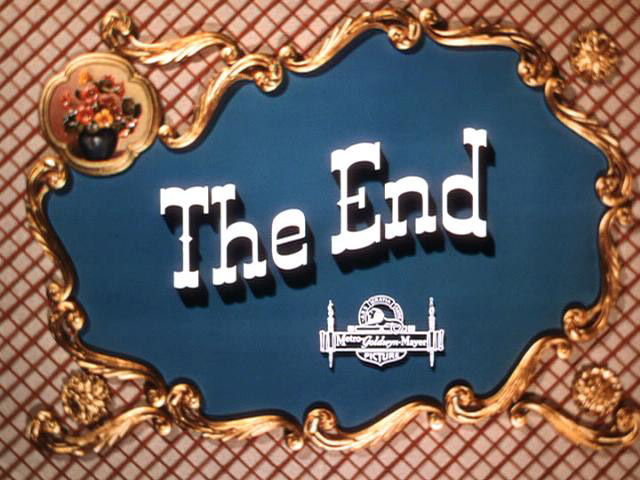 It's funny how they greased the lens only in certain shots. It is such a contrast from the crisp picture of the male-love-interest to the blurred picture when they cut to the-girl, but it definitely does get across that foggy "in-love" feeling.